Yankees, Mets, Red Sox, Jets, Patriots, Manchester, Liverpool it's all a construct. Sometimes we need a reminder of the game and what the teams really are. Inspired by gifted philosophers like Joe Rogan and Duncan Trussell. 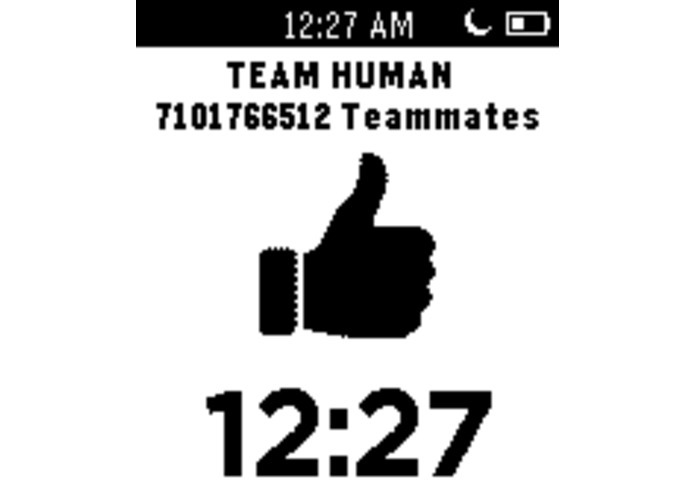 This series of watchfaces for the inexpensive pebble watch show you the current human population* (up to the second) and the time - and - theres more - I'll be adding fan art . 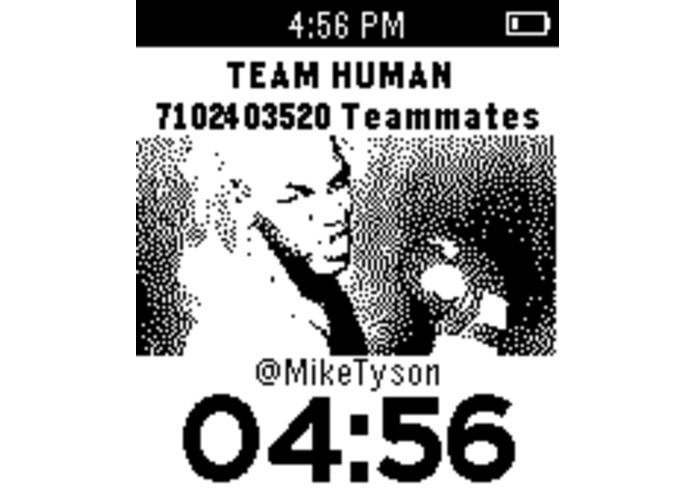 I built an app because my "human teammates" built a watch and then this whole software around it - that lets you make apps. 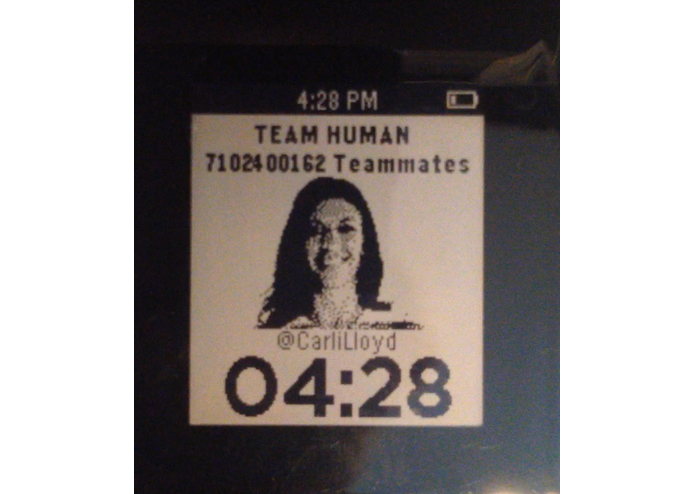 I did it using Pebble's native C based SDK on PebbleCloud using Github. Powerful Community! 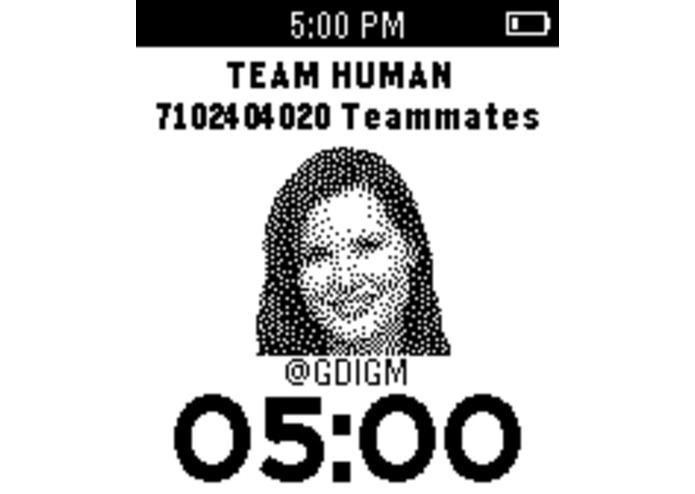 Creating customized, data-driven watch faces for social good is just something I do for our team. I love our team. 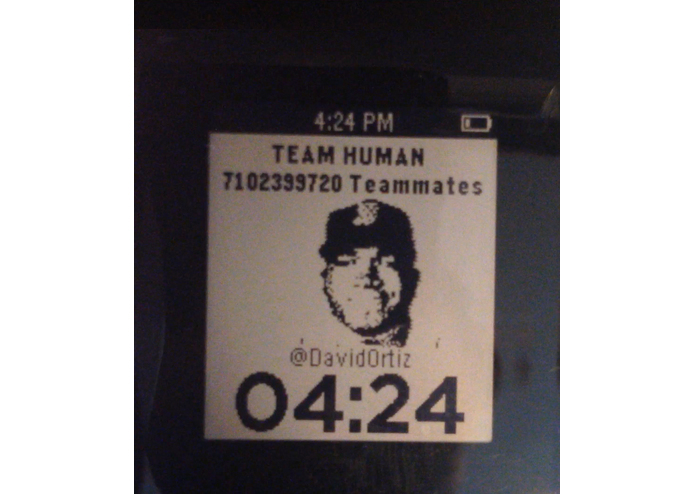 I'll be honoring Team Human representatives with custom watchfaces and notifying them via twitter. There is no money in making these FREE watchfaces for me. It's for the benefit of our team. 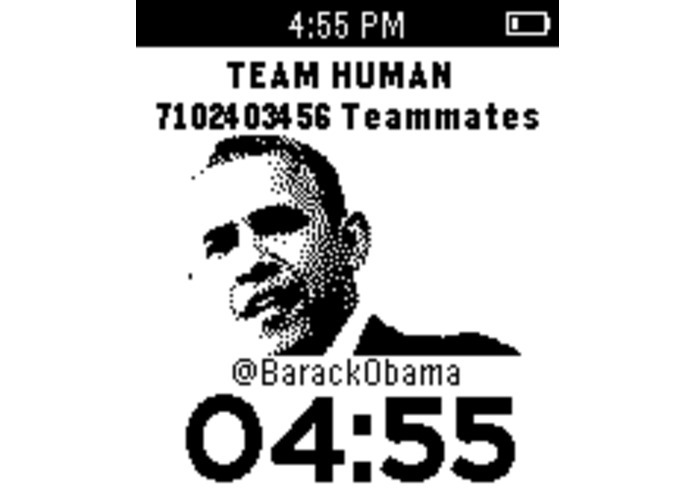 I'm going to continue working on this app past deadline to get it submitted to the pebble app store. 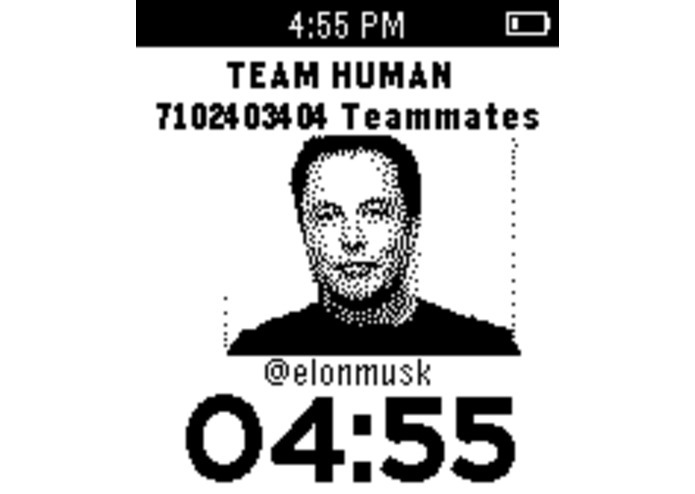 This will be a completely free watchface. 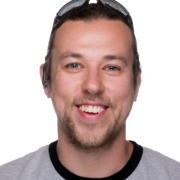 All of the code I have created and am writing for it will be available github. Last minute features make it in! 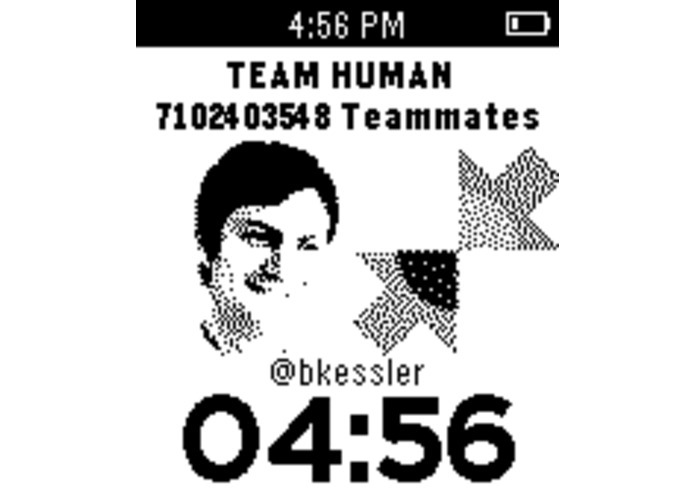 Most notably new rotating image watch faces featuring some of our favorite human teamates along with their twitter handle. First Prototype Assembled, working on new features until deadline!